Answers to the whys, whats, and hows of garage door repair, maintenance, installation, and replacement. What will I need to paint wooden garage doors? You must get the right powder coat for your wood door and the specialists at Garage Door Repair Pomona recommend certain coatings, which must be applied before the final color for extra strengthening of the door. Wood is sensitive and you must make it more resistant to elements. Before you start painting, you need to clean it well and remove any signs of mold but don't disregard the importance of garage door repairs. How do I check the sensors? The sensors are parts of the garage door openers. So, the experts of Garage Door Repair Pomona would suggest checking the condition of the openers first. The second step is checking the sensors themselves. Are they facing each other? You need to keep them clean and make sure their wires are fine. The last step is examining the good functioning of the reverse system by putting an obstacle in the way of the closing door. What are the advantages of safety glass? Garage doors made of safety glass are safe because if the glass panel breaks, the pieces won't scatter and won't hurt you. Garage Door Repair Pomona reminds you that manufacturers don't use plain glass because it wouldn't be appropriate for glass garage doors. In fact, they suggest double layers for greater safety and insulation. What happens if my garage door opener gets wet? If your garage door opener gets wet, immediately take out the battery to see what treatment will be best. If the battery has gotten wet, put it in a bag of rice for a few hours to dry. Otherwise, turn the remote upside-down so that the water doesn’t get into the electronics. Which is the strongest garage door material? Metal and wood are the strongest materials. However, their strength will depend on the metal gauge and the wood thickness respectively. Our specialists in garage door repair Pomona suggest that you pay attention to the type metal or wood which the door is made from as well. Can I change the speed of my door? It depends on the type of your garage door. 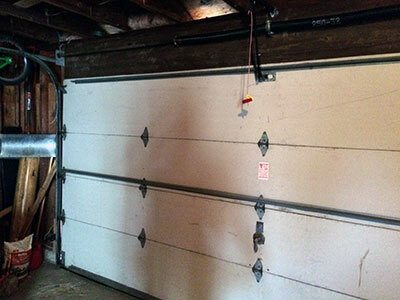 One-piece garage doors are usually set to move at the slowest possible speed for higher protection. 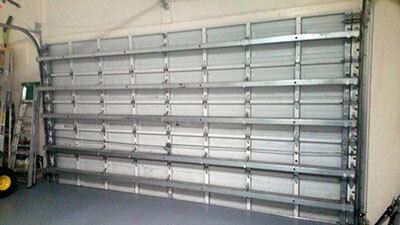 Sectional doors can move in three different speeds and you can adjust them by the opener. For safety reasons, it's best to take the opinion of our specialists first.